1. I ordered a copy of Yellowthread Street. Anonymous, you have no idea how excited I am at the prospect of not just a new detective series, but one that is set in Hong Kong. 2. I began flipping through Short and Sweet by Dan Lepard. I've owned the book for a few months, but extracted it from a towering stack because of Steven's high praise in a recent comment. I then baked Lepard's rye and raisin cookies. * They are magnificent. Try them! 3. I bought a Sumo fruit. It was every bit as crazy delicious as Kristin said it would be in another recent comment. Found it at Whole Foods. Marked as a tangerine; only in small print did it say "Sumo fruit." This is all just to say how much I love your comments on my blog. I'm highly suggestible and if you mention something, it will stick in my head forever. Oreo balls? The chocolate pots de creme from Kate Zuckerman's Sweet Life? Cafe Rehobeth? You've probably forgotten. I haven't. *Husband thought they were too sweet, Isabel doesn't like raisins, and Owen would rather eat the giant Pocky sticks brought back from Hong Kong and strew the wrappers all over the house. I love my family, but they are mistaken about these cookies. The cookies are outstanding. Those chocolate and raisin cookies were interesting. But just the latest in a long line of cookies where I said, as I ate them, Why couldn't these just be chocolate chip cookies? Isn't one type of cookie enough, with variations for other kinds of chips? Also wanted to note that I am often tempted by spy novels but then don't get around to reading them. I think I will leave spy novels and mysteries for retirement, as I am doing with golf. I'm so glad to hear you have Dan Lepard's "Short & Sweet." I'm obsessed by it and want to bake everything in it -- which is very rare for me. Usually there are only a few recipes in a baking book that make me stop in my tracks. I especially like how he incorporates and/or whole grain flours in things I would never think would work. Like the rye cookies (which I also love). Other wonderful cookies I've made from the book: Peanut Butter (with spelt and rolled oats -- sounds heavy, but they're not); and the spelt and ginger cookies (sans the stem ginger). I also loved the Double espresso brazil nut cake (I subbed hazelnuts), which also uses some spelt. I've made many of his breads, from this book and his earlier "The Handmade Loaf." From "Short & Sweet" I've made the Flash Loaf (a 2-hour crusty bread), the sour cream sandwich bread, the Alehouse rolls, and the Cider vinegar muffins (aka English muffins) -- all outstanding. His recipes always work. And I find his personality and his warm, humorous writing style engaging. The headnote to his Bourbon Pecan Brownies chides the baker who would omit the booze and cocoa in the recipe: Yes, he says, you can leave these ingredients out -- "Or have a salad instead and stop tormenting yourself." That sounds very much like another baker we all know. 2nd graf I meant to say: whole grains and/or whole grain flours . . .
is that a giant cookie or a small sumo? 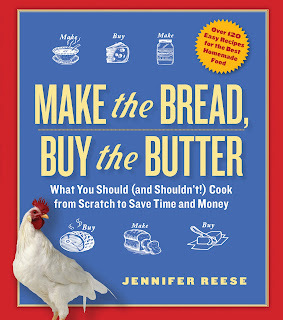 If they had a Kindle version of this cookbook I would be baking those cookies today--easily as suggestible as you are. Keep up the great work! Ginny -- You might want to buy this cookbook. I agree with Steven, every recipe is very enticing and also somewhat unusual. There's a link to the cookie recipe in the post somewhere as he writes a column for a newspaper and it was published there. It's a big cookie. Maybe a small Sumo, fruit too, but I don't have any basis for comparison. @Steven suddenly I want this book. Peanut butter, spelt and oats! Not to mention ginger? Bring it! The sumo fruits I've been getting are about the size of a softball. Or a large navel orange. I'm glad you found one! I'm very suggestible too--witness the fact that I now own Tender, Milk, True Confections and The Happiness Project. And Harman and I finally started to watch Downton Abbey, have now finished watching season two (but I'm not finished RE-watching season two) and I am, obviously, OBSESSED. You might like the Maisie Dobbs series of mysteries. I just ate my second Sumo fruit of the day. Crazy delicious, some of the best citrus ever!